The Diocese of Limerick has announced it will hold its first synod in over seventy years in spring 2016 which is aimed at plotting a way forward for renewal and collaboration in the Church there. 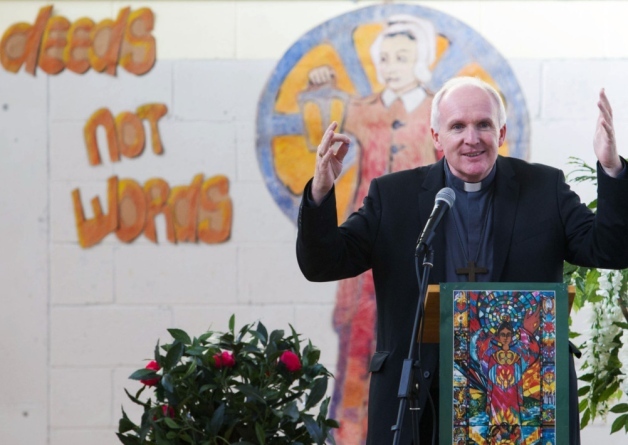 Bishop Brendan Leahy made the announcement at a Youth Mass at St Joseph’s parish in the heart of Limerick City on Sunday, saying there would be an 18 month period of reflection and listening ahead of the synod, which will commence this December. The synod will take place over three days and will bring together 400 delegates who will set out a path to enable the Church in Limerick meet the many challenges it faces going forward. They will try to ensure the synod delivers, with a sense of renewal as well as partnership among all in the diocese, the message, ministry and mission needed for the future. Between now and the official opening of the period of reflection on Sunday 7 December, 400 synod delegates, who will be drawn from parishes across the diocese, will be identified. The 400 will collectively begin a process that will set out the key issues for consideration at the gathering in spring 2016. Bishop Leahy has appointed Fr Éamonn Fitzgibbon, Episcopal Vicar, as Director of the Synod. Fr Fitzgibbon will co-ordinate the many strands of preparation for the synod as well as the synod event itself. He will also engage in a process for the selection of delegates for the synod. In a letter published on the diocesan website www.limerickdiocese.org, Bishop Leahy said the gathering would be true to the meaning of the word ‘synod’, which is ‘journeying together’. “Between the launching of the synod and the 2016 gathering there will be a vast process of reflection and sharing, catechesis and prayer, out of which we will identify the issues that will be discussed at the synod. I hope that as many as possible throughout the Diocese will be involved,” Bishop Leahy said. “For the synod to be the journey it needs to be, we must all travel together. Everyone has an opinion worth listening to and we must listen before we can learn,” Dr Leahy commented. The Bishop said a specially dedicated website would be launched for the synod. “I invite all send in observations or suggestions. And by ‘all’ I mean people of deep faith but also those who might consider they do not have deep faith or seldom take part in worship or feel they have lost their faith,” he said.